But back to reception starting – and the big difference for number 3 child, is that she is entitled to the new Government scheme of free hot meals for all. Lots of people have been chuffed with this – saving them the £2.20 per day it would otherwise cost (or the faff of making packed lunches each day) – but I have to say I think it’s ridiculous. We could easily afford the cost – and surely there are better things that the cash strapped local authorities could spend money on? I realise that some children don’t eat properly – and addressing that is fine – but the broad brush of ‘everyone’ seems a bit mad. My daughter? Kai Rooney? Harper Beckham next September?! My husband was entitled to free school meals as a child as his parents didn’t have much cash – and then, as now, there could be a stigma attached to this – so maybe extending the scheme to more people would have been sensible – but everyone?? Perhaps people claiming child benefit (although let’s face it, that is also a controversial cut off – but a line has to be drawn in the sand anyway!)? As well as the fact that people who can afford dinners are being given them for free – there are also the practical issues for the schools – many don’t have the canteens to make the food, or the space for all of the children to sit down to eat them – so we will see how they cope. For me it was seen as a vote winner and is political posturing that hasn’t been properly thought through at all. 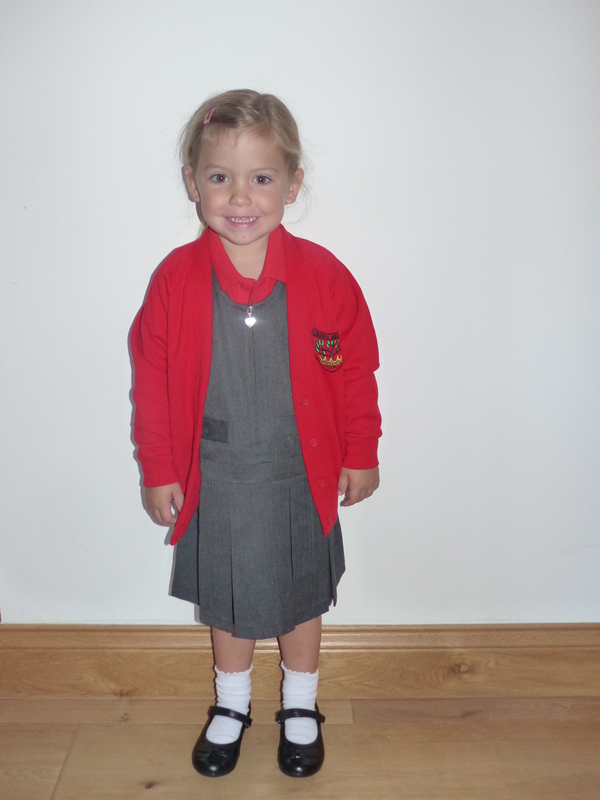 It would appear that my poor 3rd child’s start at school has been hijacked by me having a rant – but then with the title of this blog being ‘This Price is Usually Right’ I’m just surprised it hasn’t happened sooner! !